Julie Withley send me this picture of her father Joe's Alacrity named Kate. 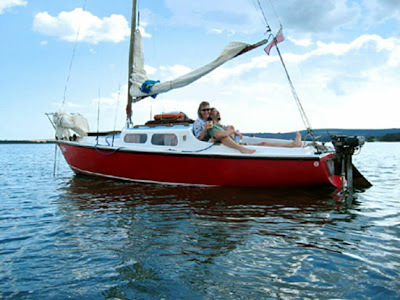 Since 1984 the Whitley's have sailed her in the waters of Poole Harbour. They love their boat dearly and have done quite some work on her i e replacing her keel bolts.